When I was informed late last year that I would be going to IWA 2016, my reaction was akin to that of a child who had received that long awaited and asked for pony for their birthday (although for the record I was never that child – horses scare the living daylights out of me!) 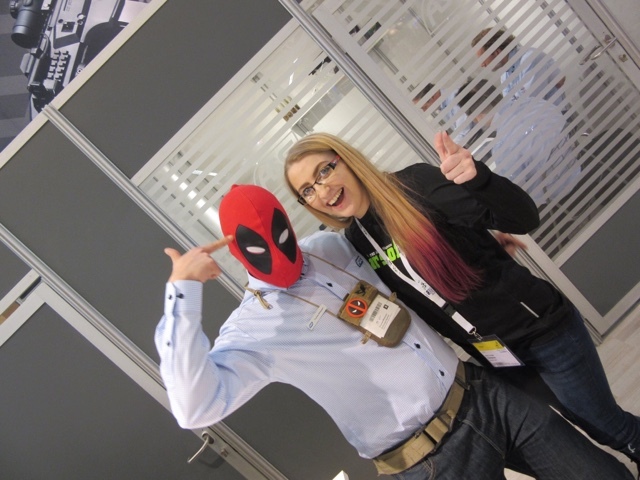 I had joked with my friends about how I would be at IWA 2016 as press with no idea that 12 months later I would be at the Messe, wearing the coveted yellow press pass representing the UK’s number one Airsoft magazine and needless to say I had to periodically pinch myself to ensure I was really there! 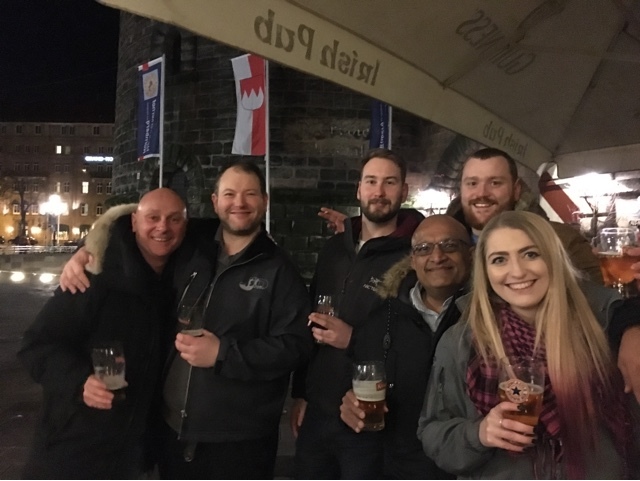 We arrived in Nuremberg on Thursday evening and after exploring the town centre and a traditional German dinner of Bratwurst, bread, salted cabbage and a quick beer in the Irish Bar Finnegan’s, we hit the hay ready to get into the full swing of the show on Friday. I awoke promptly at 4am like a child on Christmas morning eager to get the day started! 4 agonising hours later we set off for the Messe. 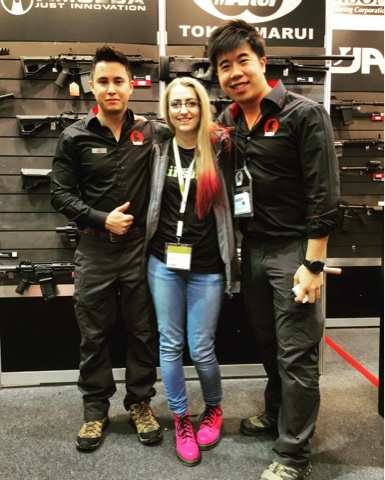 As an IWA virgin, I had no idea what to expect from the show, I had seen Instagram posts on the infamous SHOT Show which only fueled the imagination. 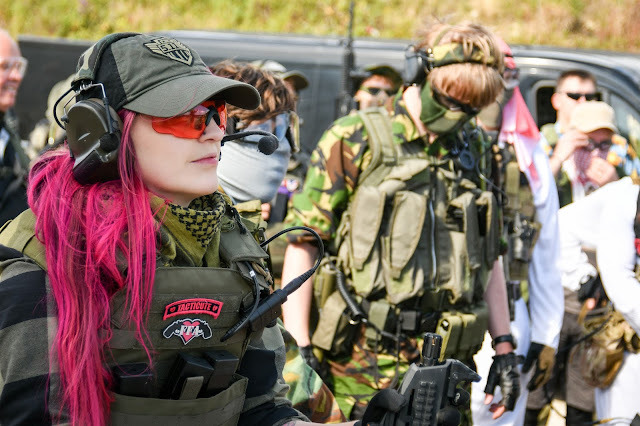 The main aspect of the show that got me buzzing was the social aspect, I’m a huge fan of social media so meeting so many of my international friends for the first time, taking killer pictures for Instagram and the chance to meet with the big contenders in the Airsoft Industry! With a jam packed schedule we stepped from the cushty press room into the chaotic halls filled to the brim with tactical goodness. Stepping into the halls was a very odd moment – it wasn’t anything like I had ever imagined. Even though I had seen pictures of stands from the big Industry shows, I was genuinely taken aback by the effort, time and money that goes into these shows every year! The Messe is a huge exhibition centre made up of multiple halls and is easily accessible by foot or the metro, we took a taxi which was around a 15 minute ride from our hotel in Old Town. Our hotel of choice was the Hotel klughardt which was a quaint B&B in the top quarter of Old Town, the rooms were spacious, clean and the service was very efficient. As we were attending IWA for the Airsoft side of the show we focused our attention on halls 7 and 7A (which lucky for us was right next to the press room!). These halls are home to the biggest contenders in Airsoft during IWA and no expense is spared by the brands to showcase their new and existing products – one of my favourite brand set ups was the Umarex stand, in fact their stand is so big that hall 7A is dubbed ‘Umarex Hall’. Their stand compromised of around 8 full sized shipping containers filled with their Airsoft, personal defence and training weapons in amazing set ups featuring elaborately carved arm chairs to stuffed stags, and what impressed me the most about their set up was the Umarex private bar within the stand – I have never seen anything like it! 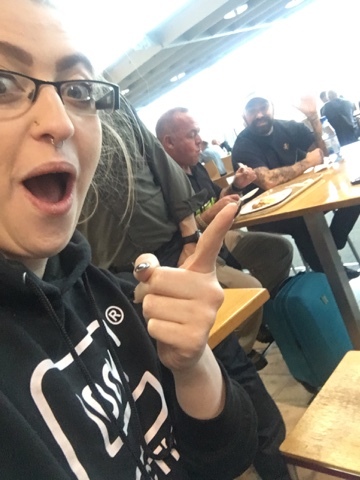 Weeks before the show we put together our ‘hit list’ of brands and companies we were eager to visit such as G&G, ASG, Nuprol, Redwolf Airsoft, King Arms etc. each brand having its own unique stand and putting their stamp on the halls of IWA. 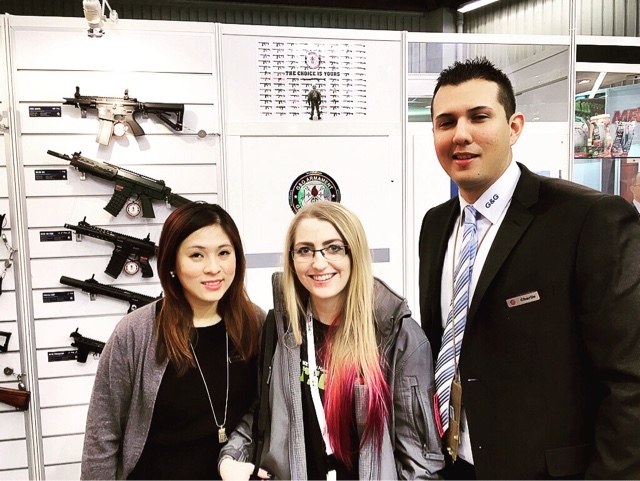 There were many highlights of the show for me, such as meeting the team behind G&G and even having a blast on the M.E.T target system with the newly released G&G Warhog, drinking champagne with ASG at their reception whilst discussing the new Scorpion Evo 3A1 with the Wolverine HPA system, hanging out with The Airsoft Surgeon at the RedWolf Airsoft looking at £3,000 Swarovski encrusted competition pistols to name a few. The show was a glittering display of RIF’s, pistols, new technology and gear. Whilst at the show I also ventured into some of the other halls including the hunting halls, but the displays of stuffed (and clothed!) bunny rabbits was a MAJOR downer for someone who has two very pampered and loved house rabbits and really didn’t do it for me! I did take a stroll into hall 9 which was a gear whores paradise with all the big gear brands such as Warrior Assault Systems, Helikon, Pentagon, Mechanix and 5.11. One of the items I was really keen to see was the new 5.11 yoga pants as I’d seen all the hype at SHOT show regarding them and I wasn’t disappointed, they offer a comfy solution to shooting attire but the price point of $80 for the Capri version they are on the pricey side! The list of products I would have loved to have come home with is insane! Anyone who has attended IWA knows that more business is done after show hours over a few beers in the infamous Finnegan’s than during the show itself which is something I discovered over the weekend, I knew the social aspect of the show was massive, but I wasn’t aware of just how big a part it plays and the relationships/bonds you form with people over a tankard of beer and a horrifically sung Bryan Adams anthem is phenomenal. 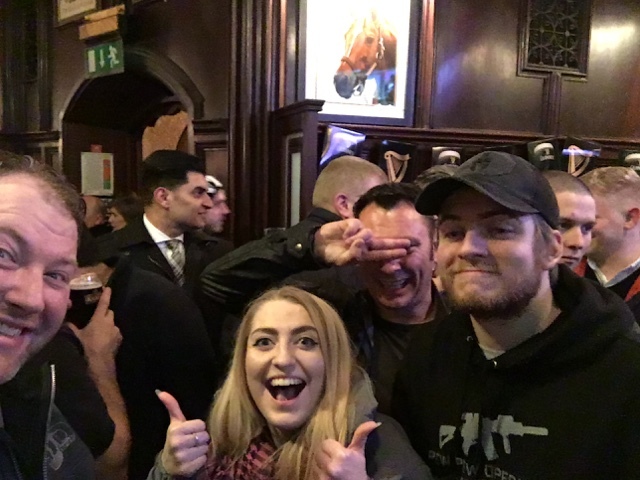 The bar is a quaint, dimly lit traditional Irish bar set in the shadow of the castle walls within the town centre and during IWA week it gets rammed with the who’s who of the Airsoft industry. I frequented the Irish bar on all 3 of my evenings in Nuremberg, and each night had a different outcome, from an extremely sensible 10.30 bedtime the first night, partying in a German club until 4am on the Friday night and the last night ending in witnessing a Police Raid outside of Finnegan’s and taking a walk through the Red Light District – which was definitely an eye opening experience! Only at IWA! 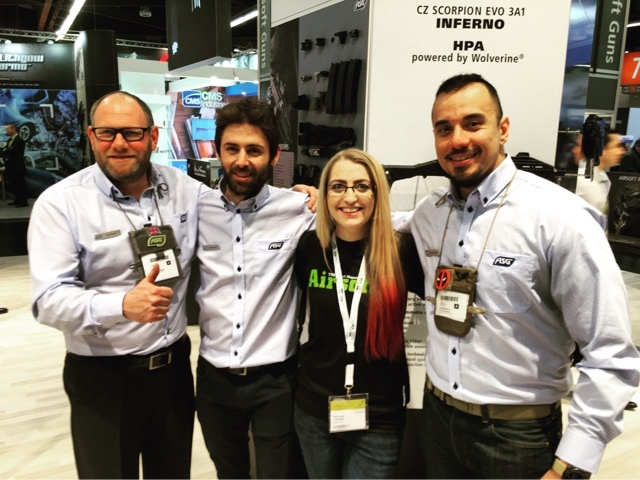 IWA for me was an absolutely insane experience that I am so grateful to the Airsoft Action team for letting me be a part of – from meeting the retailers, brands and personalities to getting to see some of the newest products to hit the market, well there’s only one word to describe it – Awesome! Hardwick, K. (2016). Airsoft Show Report: IWA 2016. Airsoft Action. 61 (May), p29-30.